And I saw it again: the law of the inhibiting lead. In the past everybody knew about the television that was controlled by the state. Nowadays some of the channels are more transparent and democratic than for example the Dutch broadcasting associations. 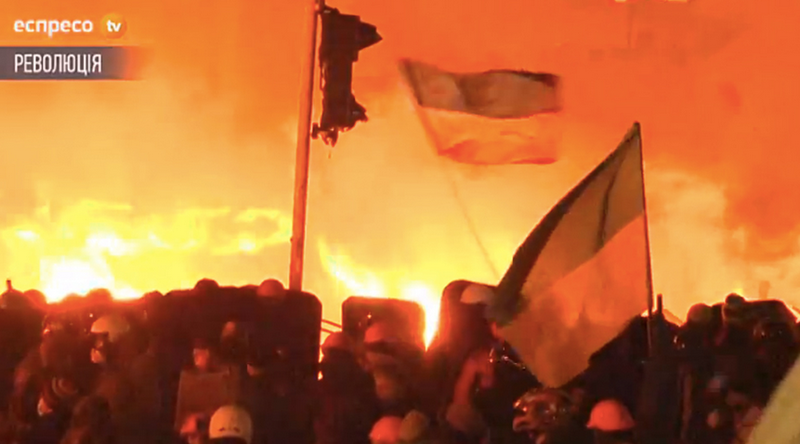 During the protests at Maidan the actual and fast news became very important. Internet was much faster than television. Several websites showed online information and live streaming of the protests. Two of these sites became a huge success: expreso-tv and 112-tv. Also a lot of the Ukrainians that live abroad (ao Europa, Russia, United States) were constantly updated that way. After the protest the demand for these independent bottom-up media kept on growing. Private investing made it happen that both of the websites now have their own tv-channel.